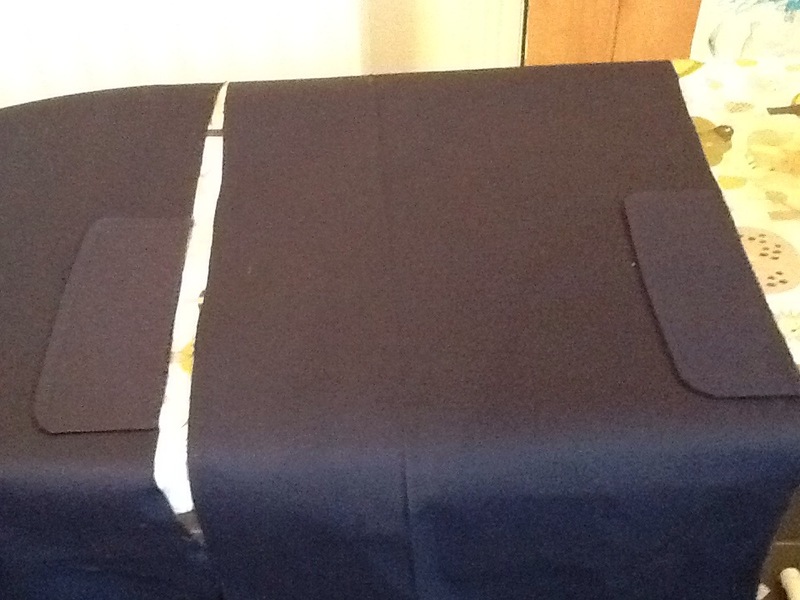 The flap for the pockets is looking very neat and so onto fixing the pockets right behind them. 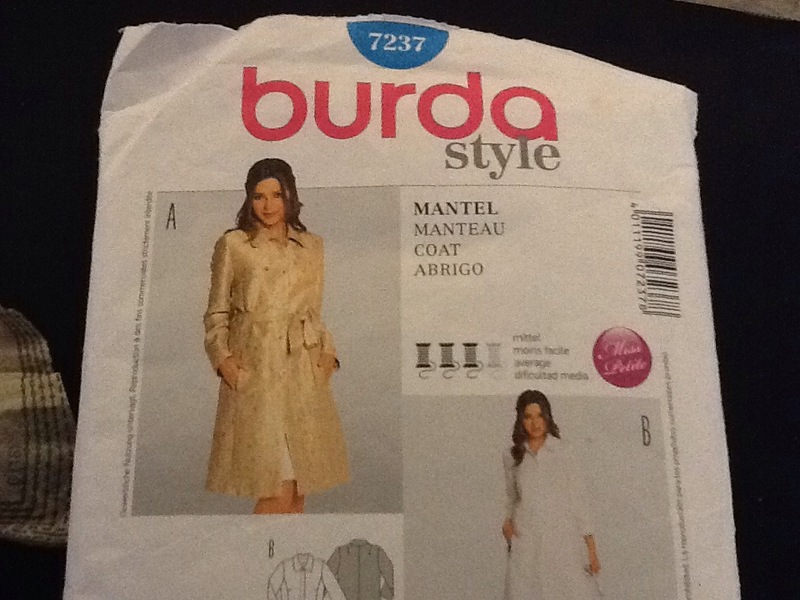 The front of the trench has two pieces and the pockets lie in the middle. 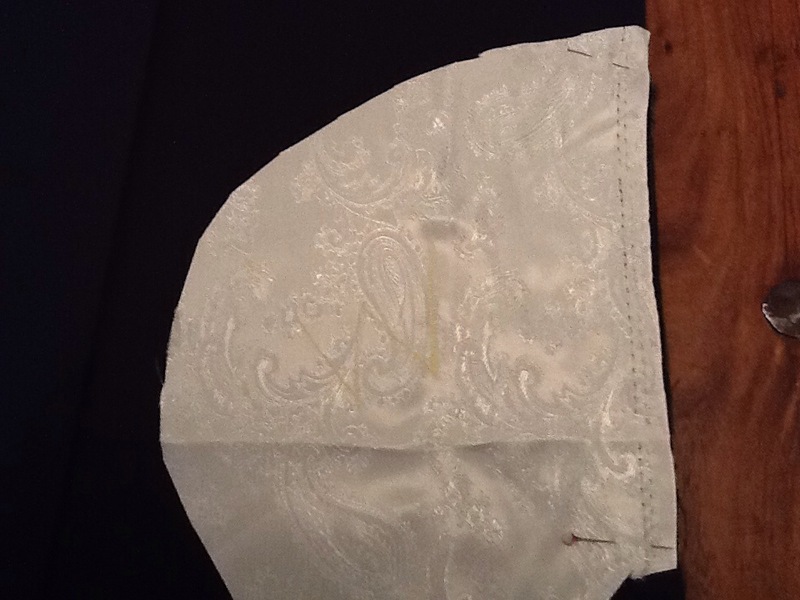 First job was to attach iron on interfacing to the fronts which form the front edge where the buttons will go to fasten. 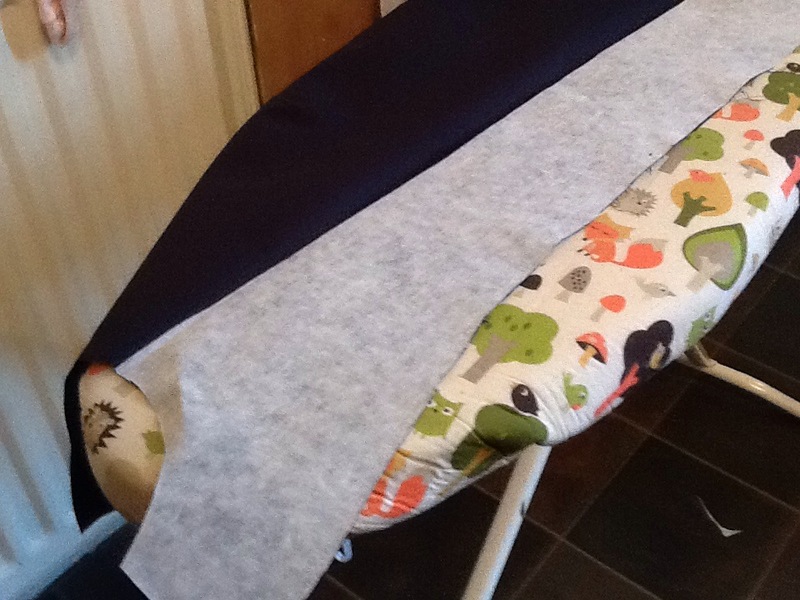 I then pinned the flaps onto the fabric on the marks I made from the pattern. 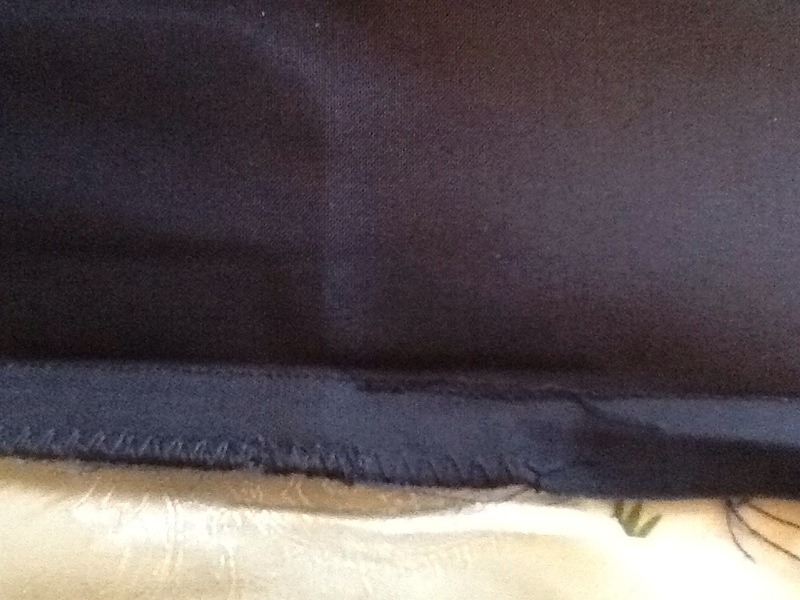 I used little slits in the edge of the fabric within the seam allowance which was a much better idea. The pockets are certainly in line! The pattern said baste them on, I zigzagged them so them were finished at the same time. The next part was the bit that made me sit and think and work it all out. The pattern read like a different language to begin with! 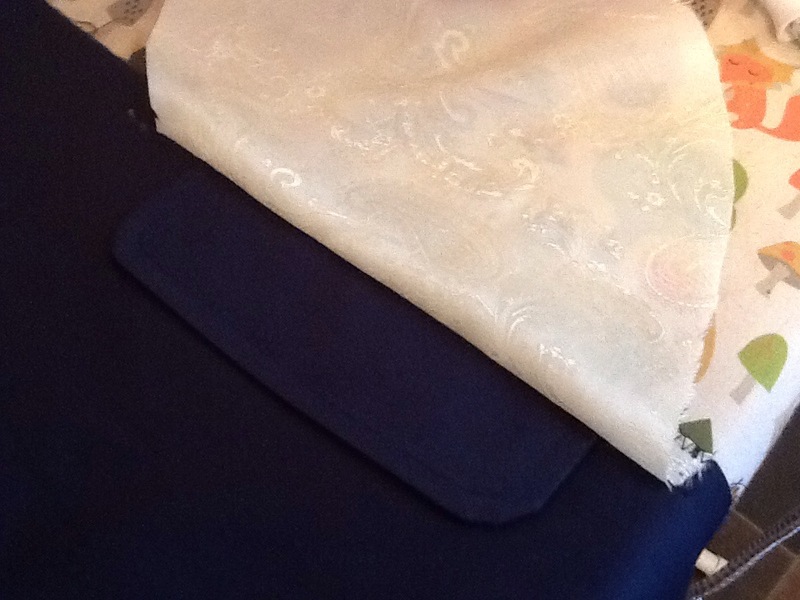 Basically it is sew the different pocket parts to each side. 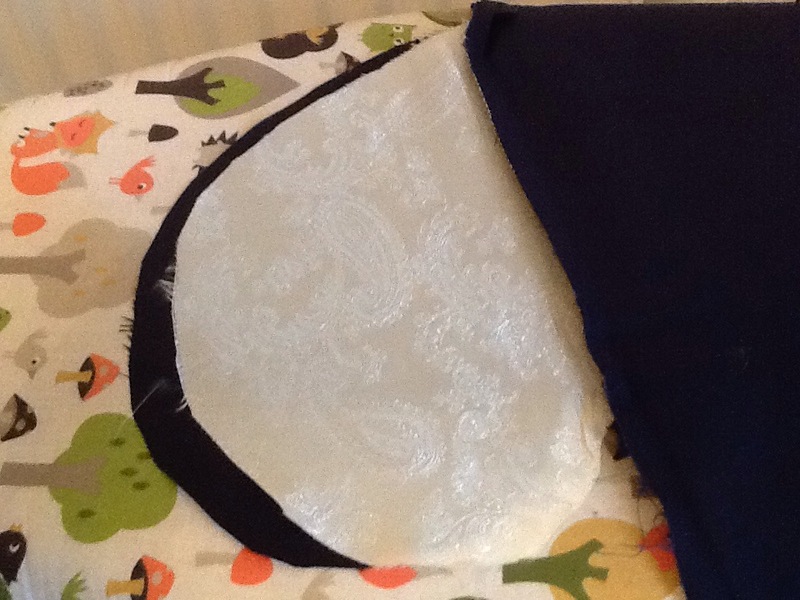 I basted it by zigzag stitch and then sewed a seam 1.5cm to attach each lining. 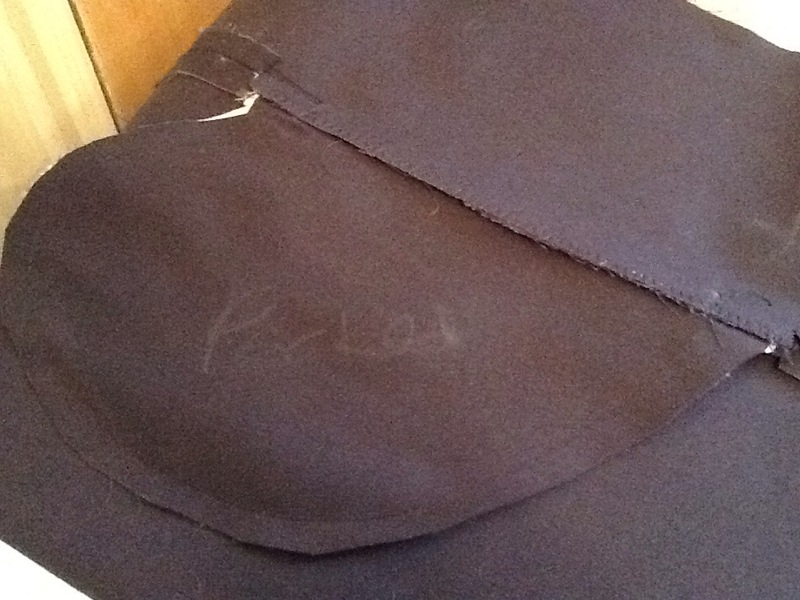 Press the pocket lining seam open and it should look like this. 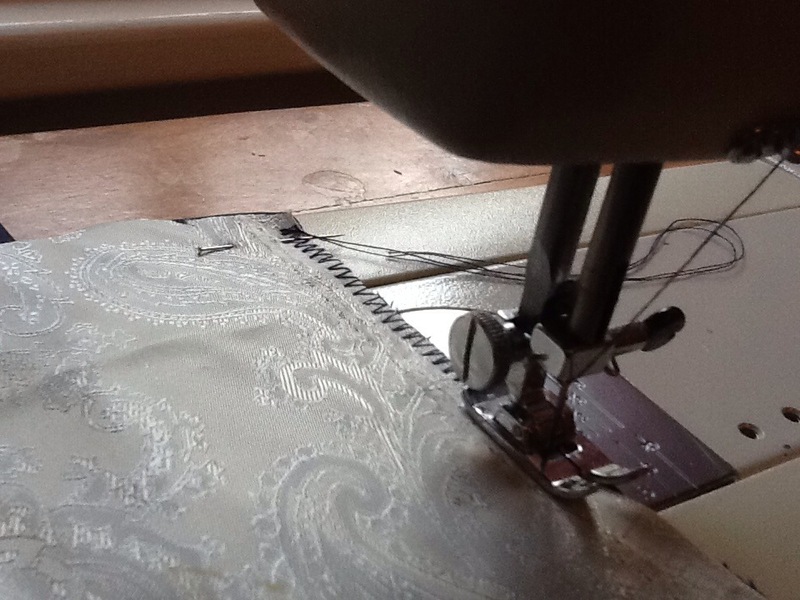 The next job is to fasten the pockets together. 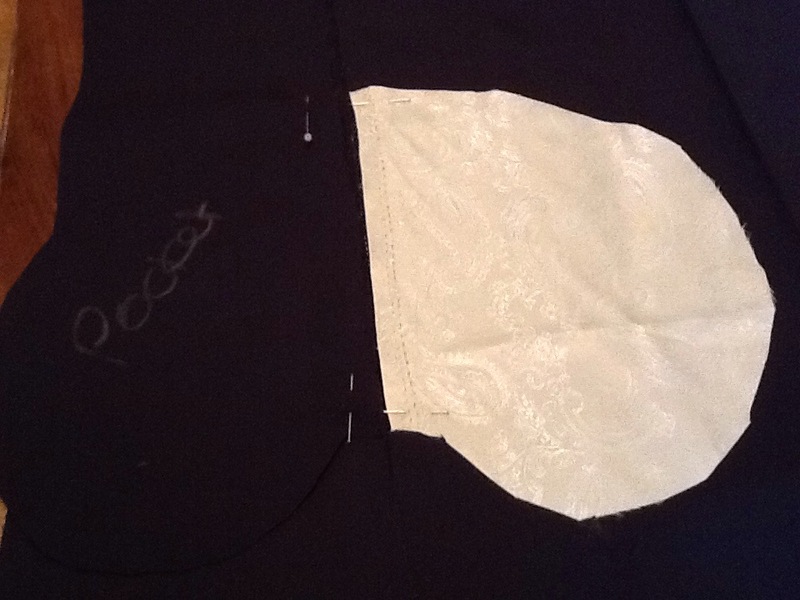 Sew the seam in the fronts and the thing I realised is…….stop sewing exactly at the pocket flap. 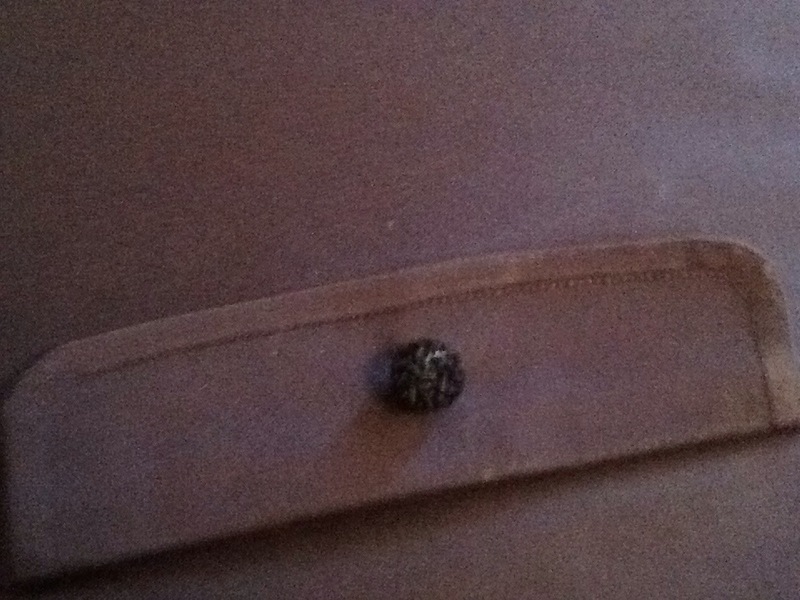 Don’t sew on to it. I have a lovely seam and opening because I realised this! Oh no! Wonky pockets! They didn’t match! Typical! But as I am only going to be the only person with my hands in those pockets I just cut them to match and sewed around them! 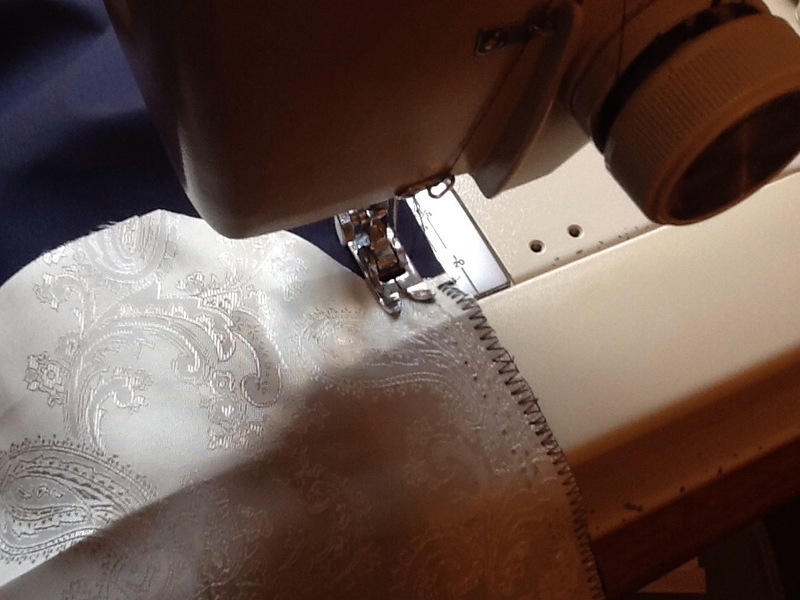 Finally….sew on the buttons! I went to Duttons for Buttons in Harrogate to buy my buttons. They are gorgeous. I have two small ones for the pockets and 5 large ones for the front. The choice was amazing! I am very happy with how they turned out….so much so that I could not stop sewing into the night…..and the photos get darker and darker! Apologies for that but it is still the navy trench! 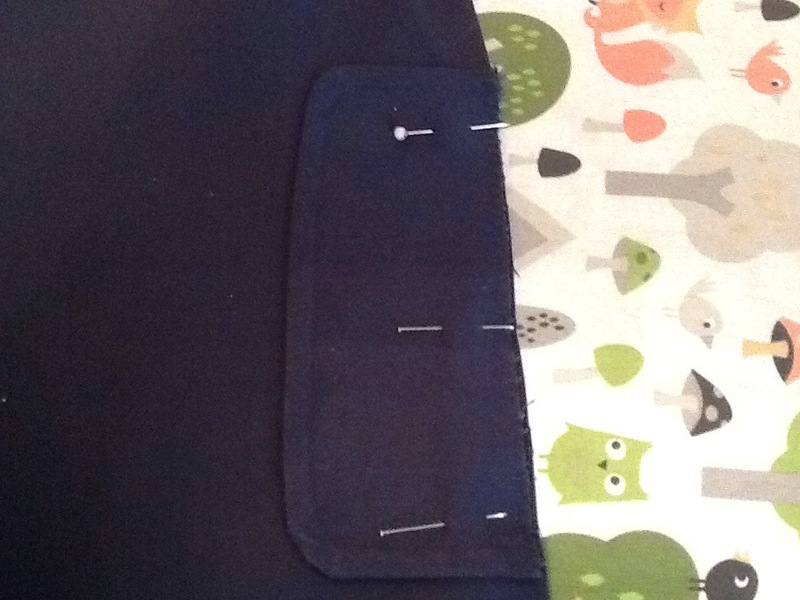 Wonkiness of sewing: 6/10 for the pockets not matching. 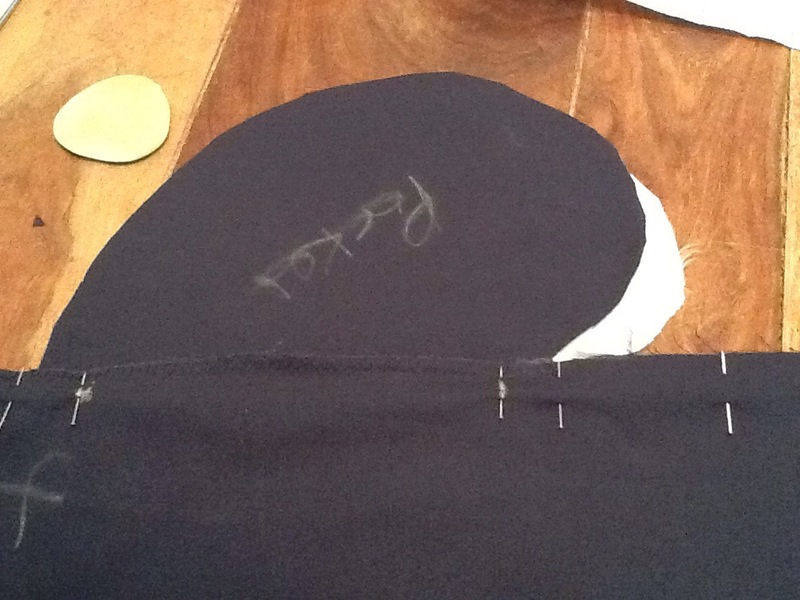 Other thoughts: remember to stop sewing the seams right at the pocket flaps! Rebecca! I can’t wait to show you! Oooooo it is just fab. 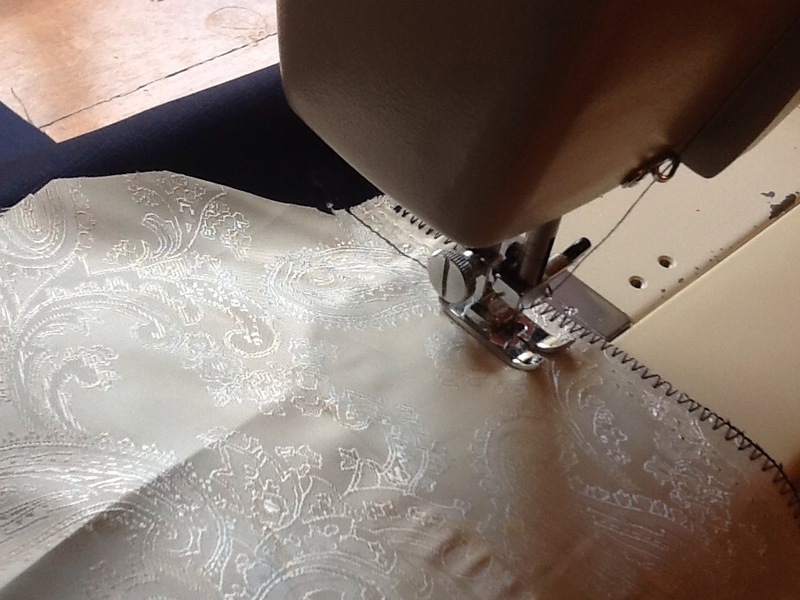 I have just to hem it. 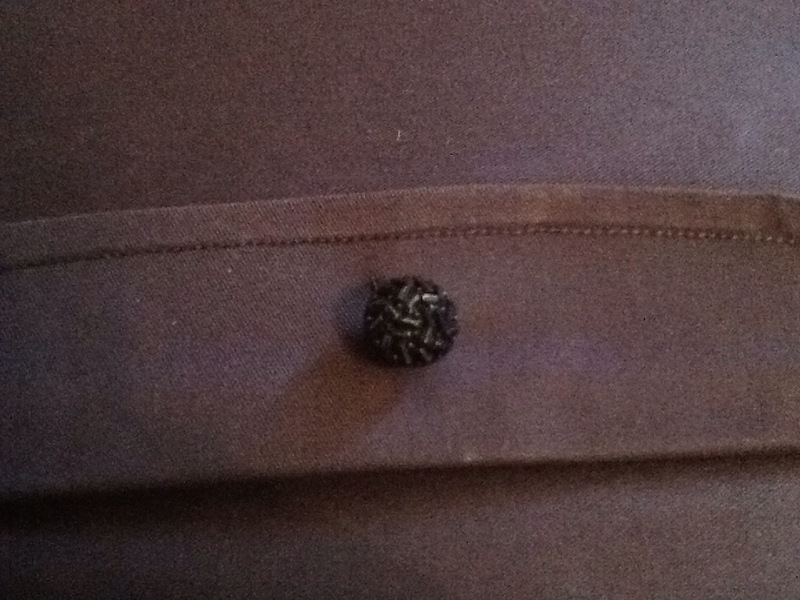 And I have had the belt made in my fabric. It arrived today! It certainly gives it the shop bought look!